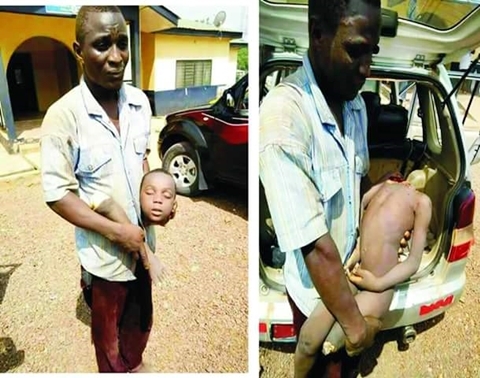 The gallant officers of Plateau State Police Command have arrested a man for beheading his son for ritual purpose, after his decapitated body was found in his car. An 'evil' and heartless father who allegedly killed and beheaded his son for money ritual, has been arrested by the gallant operatives of the Nigerian Police Force in Plateau state. 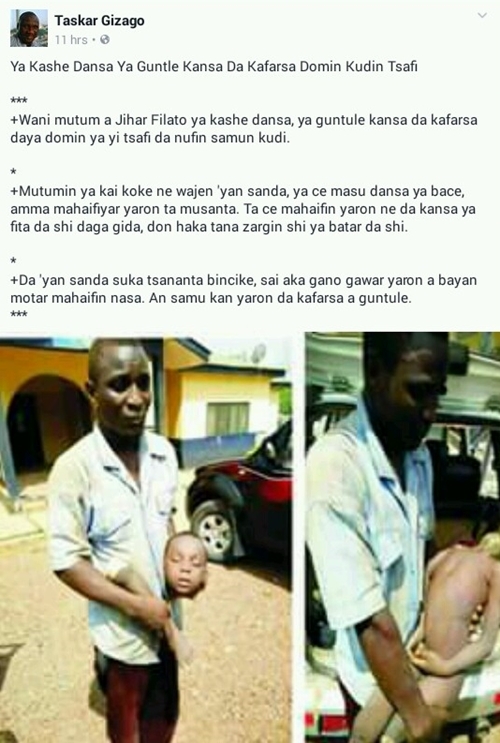 A social media user who narrated the story online wrote; "From the little I could understand from the story shared in Hausa by Taskar Gizago, a man reportedly beheaded his son for money ritual in Plateau state. "The man had earlier declared his son missing and reported to the police station.The police launched a search party for the little boy, who was already dead at the time. "Later, the headless body of the boy was found in his evil father’s car with one foot chopped off." The story was shared by a Facebook user identified as Taskar Gizago, but it was written in Hausa.